This is the best page about CAR HIRE TENERIFE, so it's good to have it enabled. You may find here great discounts in car hire Tenerife (in the Canary Islands). All you have to do is fill in a simple form, and you can be sure that your vehicle will be ready exactly when you want it. 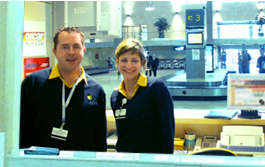 At the airport or in any one of the offices we have in all the main tourist resorts of the Canary Islands. Our vision of the future is based on meeting the challenge of satisfying each and every one of our customers day after day. A professional attitude and commitment are the foundations for providing this on-line service. Crta Gral del Norte , Km 12, Camino El Yugo s/n 38206 La Laguna. Santa Cruz de Tenerife. España.